Is the standard monocoque plastic kayak a little too standard for you. 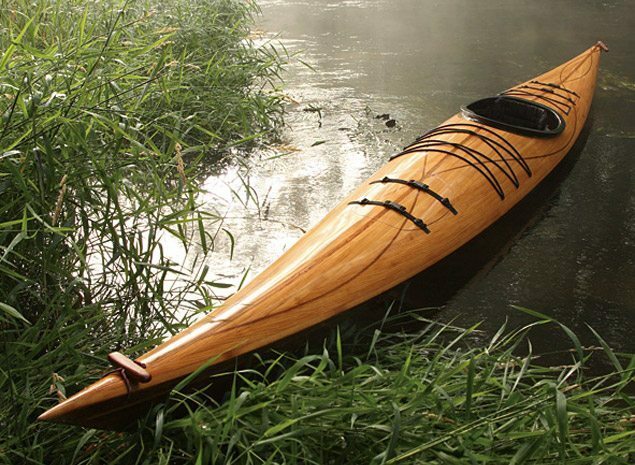 Check out the Cedar Strip Wood Kayak ($16,000). The 18′ vessel is handcrafted from Western Red Cedar strips and glass fiber. The kayak features watertight storage compartments, adjustable foot braces, and comes with an included seat and backrest, carrying handles, and deck rigging.